G-FORCE Window Net UNIVERSAL - Lesher Motorsports, Inc. Similar to the standard G-FORCE Racing Gear Ribbon Window Nets with the addition of webbing to match the angle of the A-pillar of the race car. 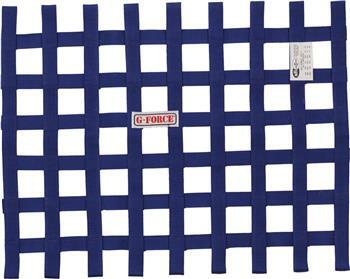 G-FORCE Racing Gear Ribbon Window Nets are all jig built to ensure consistent dimensions. 1” wide webbing and double overlap construction provide a strong, durable net. 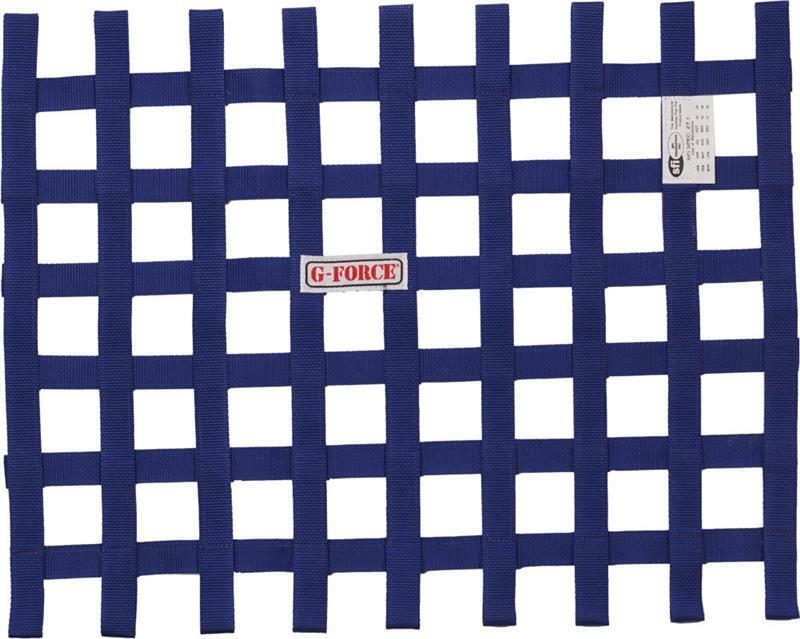 G-FORCE Racing Gear Side Net with Ratchet is jig built to ensure consistent dimensions. 1” wide webbing and double overlap construction provide a strong, durable net. Our exclusive 5-point mounting system allows the driver to accurately locate the position of the cage net and limit the vertical movement. A G-FORCE Racing Gear Helmet Net is a great way to help reduce the chance of your child’s head going beyond the rollcage in an incident.